Nothing says fun in the summer sun like a Gildan tie dyed t-shirt! Great for family reunions, picnics, cookouts, team sports and more! PLEASE NOTE: Tie dye pinwheel pattern will vary on each shirt. No two shirts are alike. 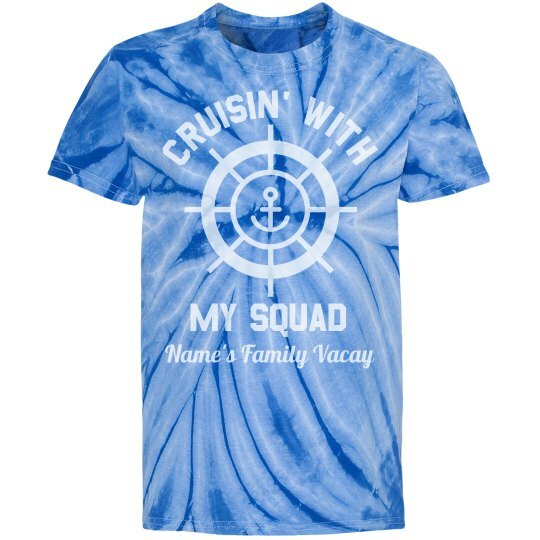 Outfit your squad with matching t-shirts and get your cruise on with a tie-dye twist. But don't just vacation, sail the high sea with custom tees you made yourself! Add in your last name and you will be all set for family photos.